Garden of the Gods is a collection of fascinating rock formations in Colorado Springs, CO. 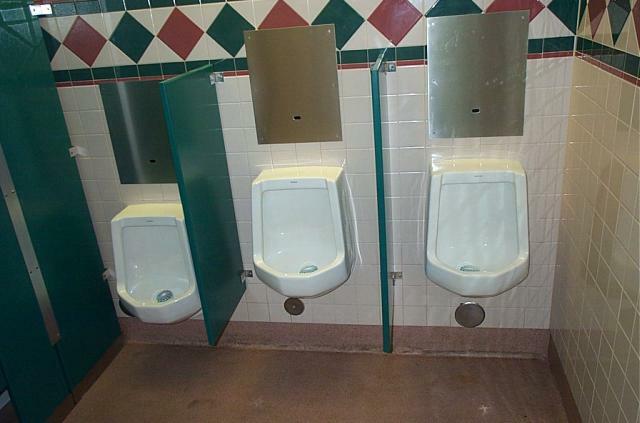 This first urinal is located in the main visitor center, overlooking the park. The park was donated to the city of Colorado Springs in 1907 by its original owner under the following 3 conditions: it was to be open to the public for no charge, no alcohol was to be ever present on park grounds, and the original name of the park was to be kept. All of the 3 conditions have been met and the park is now open for all to enjoy for free (provided they are not consuming any alcohol). 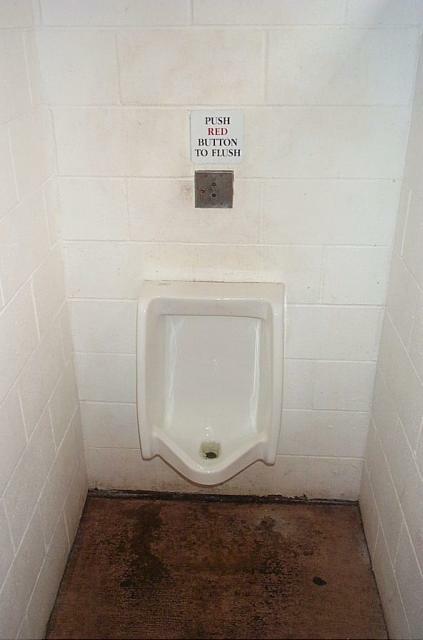 This urinal is located at one of the trailhead parking areas. It's significantly less nice than the ones at the visitor center, but the scenery right outside the men's room door more than makes up for that fact.